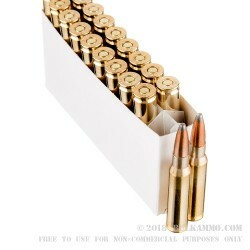 Since 1928 Prvi Partizan has been producing top quality rifle ammunition. 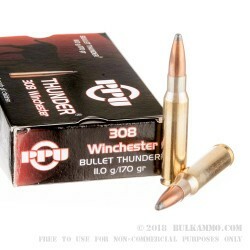 This .308 Winchester load is indicative of their commitment to shooters of all types and offer great value for the money. The ballistics, component quality, great design features and ultimately the price point, makes this a very compelling loadout for the .308 with the 170 grain projectile in a soft point design. The 170 grain .308 is a very good large game load, with the price point well positioned for sporting uses include plinking and general range/target use. 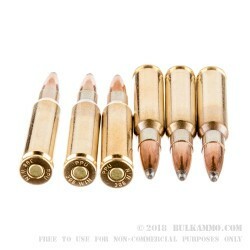 The Boxer primed brass casing give easy reloading capabilities to the shooter who wants to keep the brass. The well-made product coming out of the Prvi Partizan production facilities speaks to their 90+ year history of producing top quality ammunition at an affordable price point, with specifications that are easily matched to the most discerning of shooter’s expectations. The ballistic performance of this round makes it well suited to large deer, hogs, elk and moose. The speedy 170 grain projectile is moving at 2486 feet per second out of the muzzle and offers 2377 ft. lbs. of energy at exit. The Thunder line adds more copper toward total projectile composition allowing for better on target performance.